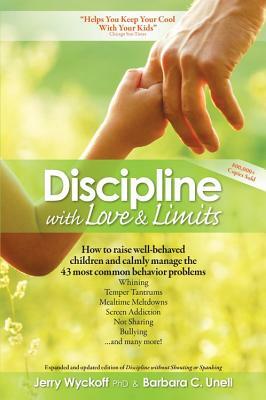 Discipline with Love & Limits provides calm, practical solutions to the 43 most common childhood misbehaviors, like: Whining, Temper Tantrums, Mealtime Meltdown, Too Much Screen Time, Bullying and Biting, Disobeying, Not Sharing, Resisting Bedtime, Getting Out of Bed, Leaving a Mess, Travel Meltdowns, Resisting Carseats, Talking Back, …and many more! • A description of the “symptoms,” the causes, and a general approach to corrective action. • Preventive steps to avoid the problem. • Practical solutions for the misbehavior. • Important information about what to do. • A case history that shows how parents like you successfully handled the problem, using advice from this book.